A sweet, lemony, elderflower-scented cordial makes a refreshing drink in summer, and it also adds a superb touch to many different recipes. A cordial can last for up to a year when it's preserved properly. Making an elderflower cordial is easy. Here are a few hints and tips to turn your homemade drink into the best cordial ever. WARNING: Although the flowers make a fabulous drink and they can be dried and made into a tea, the leaves, twigs, and roots are toxic and should not be consumed. 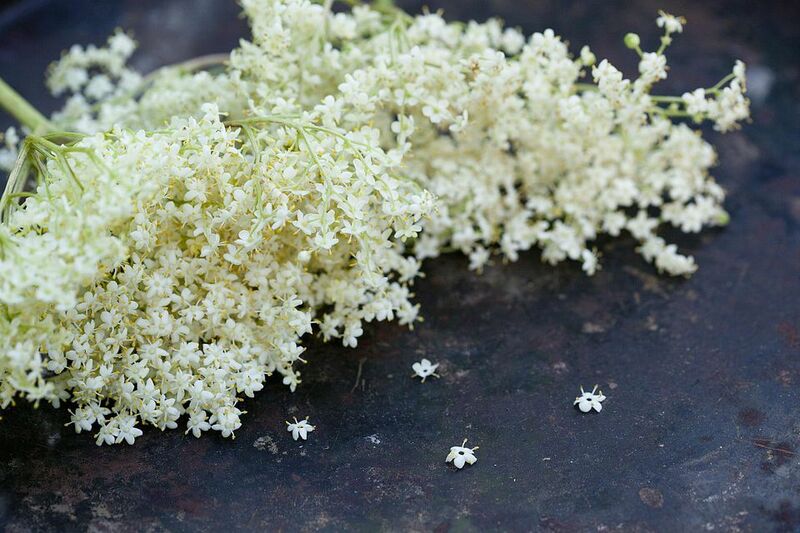 Elderflower is free for the picking in hedgerows, up and down country lanes, and in parks throughout many cities. First, make sure you're not trespassing on private land when you're picking the flowers. Avoid elderflowers that are growing close to heavy traffic. The flowers tend to pick up exhaust fumes. The best cordial is made from freshly picked flowers, or with flowers that are only a few hours old. Your cordial won't be a disaster if you wait longer, but you'll lose some scent. Pick your flowers on a dry day and late in the morning. This will ensure that they're not soggy with dew. Pick flowers that have just opened. Don't worry if some tiny buds are still closed — these young flowers will have the most scent and will give more flavor to your cordial. Avoid plants with brown or dead flowers. Discarding the whole head is best, but at least pluck off and toss aside the brown flowers. The warmth of spring sunshine on young elderflowers makes them heady with perfume, but it's not a problem if you're picking on a not-so-warm day. Just place the flowers on a baking sheet and leave them somewhere warm — but not hot — for a little while. They'll release their scent before too long. Bottle the cordial only into sterilized jars and bottles. You probably won't want to drink all the cordial at once, and you'll be able to keep the cordial in the fridge for a couple of weeks if you wash the bottles. Want to Keep It Longer? Freeze your cordial as soon as you make it if you want to keep it for more than a few weeks. Pour the cordial into your clean plastic bottles, leaving a little space at the top before screwing the caps on. This allows for expansion in freezing. If you're planning to use the cordial in recipes, you can freeze it in ice-cube trays. It's a great method of portion control. Your bottles must be sterilized in a water bath after filling them if you have limited freezer space. Don't worry; this isn't as daunting as it sounds. Fill the bottles to within about 1 1/2 inches of the top, then lightly close the tops. If you're using swing tops, close them fully. Place a folded tea towel or a metal or wooden trivet into the bottom of a stock pot or saucepan that's deep enough to allow you to submerge the bottles. Place them in the pan and cover them with warm — not hot — water. Slowly bring the water to a gentle simmer and maintain this temperature for about 20 minutes. Now remove the pan from the heat and leave the bottles in the water for an additional 10 minutes. Take them from the water, tighten the tops and dry the bottles. Store them in a cool place.